Update!!! Video of event and a report by Sharon Chin of KCBS on Channel 5 KPIX. Au Co Vietnamese Cultural Center and Southeast Asian Arts and Culture Coalitions is hosting the Five FREE Saturday Vietnamese language classes and South East Asian Summer Cultural Arts Workshops from July 9-August 16. Programs include Burmese, Cambodian, Laos, Thai, and Vietnamese. Open to the public. 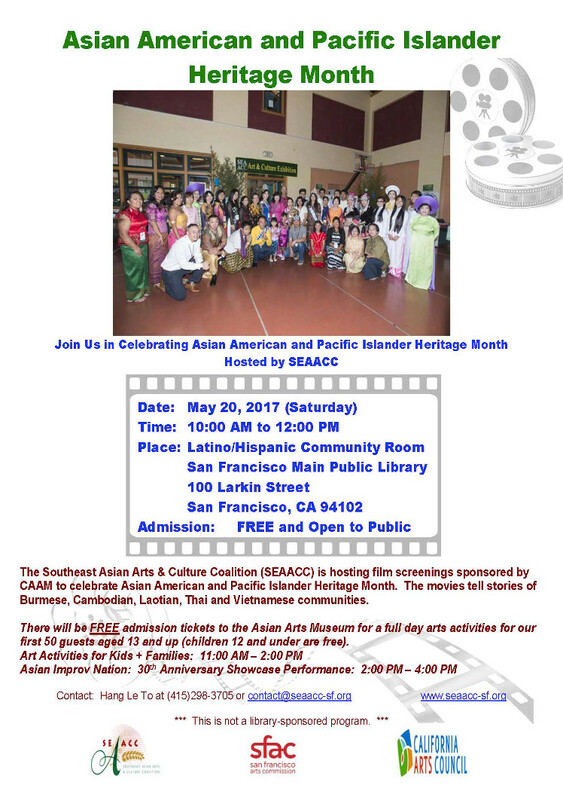 Celebrate Asian Pacific American Heritage Month at the 12th Annual Asian Heritage Street Celebration on Saturday, May 21, 2016 from 11 a.m. to 6 p.m. in front of the Asian Art Museum, leading up to the United Nation Plaza in San Francisco. On September 26th, 2015, we invite you to attend the fifth Southeast Asian Arts & Culture Exhibition celebrating the harvest season! The Exhibition helps promote and preserve the arts and culture of the Southeast Asian American communities in San Francisco, and specifically highlights the Indo-Chinese refugee communities which have a history in the Tenderloin. 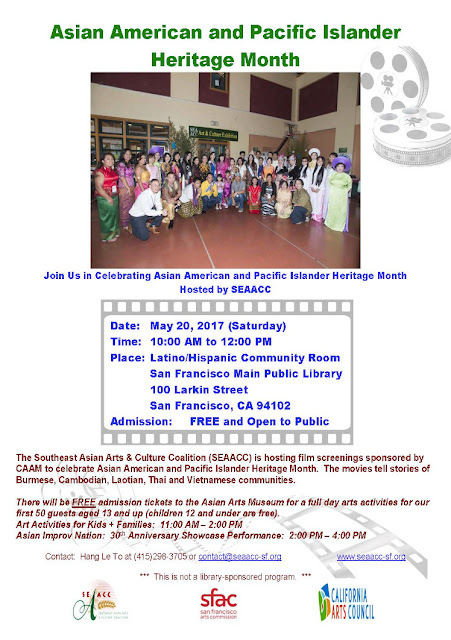 Explore the museum for free as a part of this annual program held during the Asian Heritage Street Celebration.